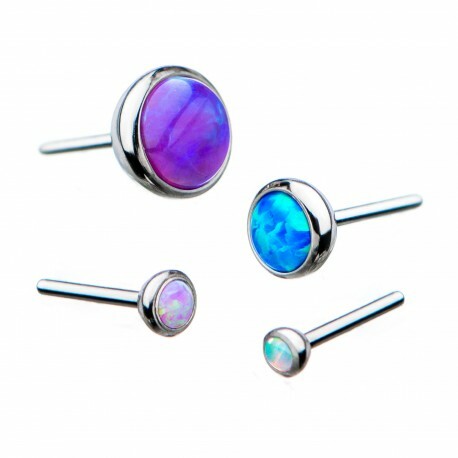 Titanium Threadless Opal Front Facing Top. Implant Grade Titanium. To secure inside bar or base, add a slight bend to the pin by inserting the pin half way and pushing the top to one side.